Welcome to our Intensive Dance Program please select a Program. With the help of a student advisor, you will design your own program and keep track of your progress. Each week, choose 18 classes from an enormous variety of classes. Choices include classes in Ballet, Jazz, Contemporary, Latin Fusion, Hip-Hop, Break Dance, Capoeira, Salsa NY style, Colombian Salsa, Bachata, Brazilian Zouk, Tango, Ballroom, Belly Dance, Stretch, Fitness Dance, Flamenco & more. Classes are for students at levels Basic through Advanced. Our Faculty are world-renowned teachers and choreographers & performers who offer instruction and choreographies for this program. Your program will consist of classes selected from our open-class schedule, to focus on your goals. Your studies will amount to at least 18 mandatory hours of classes a week, plus rehearsals, Performances, Events, Practices, & Dance Socials. All students are guided and mentored by their Program Advisor and will meet regularly in order to ensure they are making sufficient progress and meeting all program requirements. At the end of each program Students receive a Certificate of their achievements. Studio showings, Practices, Social Events or Competitions. This Programs are for students 17 and older. We have programs of 3 months and 6 months. The Certificate Program is a two-year program for advanced/beginner to intermediate level students ages 17 and up who have completed their secondary school requirements. 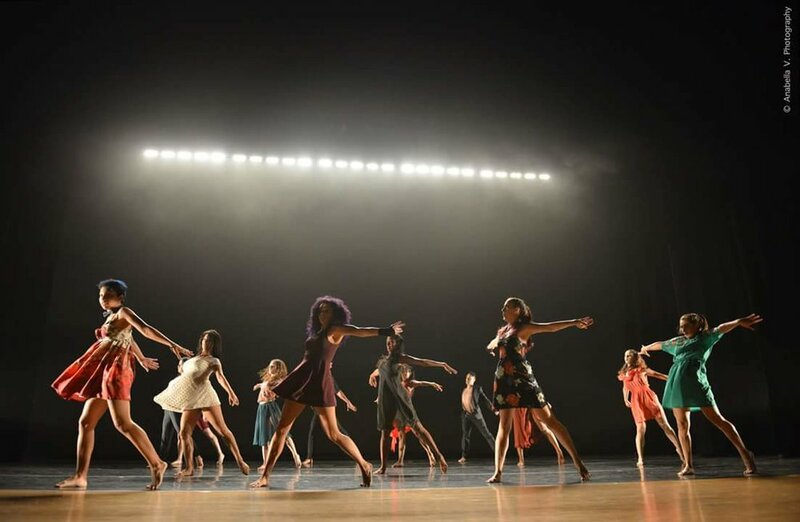 This program takes a conservatory approach to dance training, combining technique, creative studies, repertory and performance. The weekly schedule includes 15 to 18 dance classes, including Ballet, Jazz, Contemporary, Latin Fusion, Hip-Hop, Break Dance, Freestyle, Capoeira, Salsa NY style, Colombian Salsa, Bachata, Brazilian Zouk, Tango, Ballroom, Belly Dance, Stretch, Fitness Dance, Flamenco & more. Creative courses and dance academics such as improvisation, dance composition, Choreography, musicality, leadership, dance company management are also required. Studio time will be available to take creative risks and explore new ideas. Sol Dance Center Founder, and Broadway Dancer Karla Choko, launched Dancesanity Stars in 2012 as a new choreographers platform, so artists can express their creativity and share their work and present it in one of the best theaters in NY The Tony Bennett Concert Hall. providing both emerging choreographers and dancers with a professional and supportive environment to develop their craft. Choreographers receive ongoing feedback from a group of notable artistic mentors and advisors, Should an artistically appropriate work emerge from this process, it could enter Sol Dance Center permanent repertory. Giving full credit to the Choreographers. The completion of this Program will give you the material and tools to Direct, Perform and even Choreograph your own Sol Dance Teams, Student teams, Semi-pro team & Professional Performance Teams, which you will be able to develop worldwide with the support of our Director at our Astoria headquarters. This is an Intensive one Year Program, For students between the ages of 17 and 30 who have completed their secondary school requirements, this one-year Program offers the same intensive dance technique training as the Certificate Program. Students are required to take 15-18 dance classes weekly, including Ballet, Jazz, Contemporary, Latin Fusion, Hip-Hop, Break Dance, Capoeira, Salsa NY style, Colombian Salsa, Bachata, Brazilian Zouk, Tango, Ballroom, Belly Dance, Stretch, Fitness Dance, Flamenco & more. Classes are for students at levels Basic through Advanced.The program is also appealing to students who are already matriculating towards an undergraduate degree in dance at a college or university who wish to attend the Program for credit towards their degree requirements. With permission from their home school, the Intensive Program can function much like a study abroad program in offering serious dance students the opportunity to enhance their studies with a year of intensive training in New York. This three year program is the ideal option for well-trained dancers looking to launch their professional careers. looking for an intensive course to hone your skills, Our comprehensive syllabus includes multi-disciplinary technique classes, practical seminars to educate you about Producing & Directing, With numerous performance opportunities year round. Comprehensive full-time program includes, master classes, mock auditions, rehearsals & access to private company rehearsals, leading and hosting Practices & Socials. The Sol Dance Center Teacher & Leadership program is a serious full-time course of study, so it is imperative that you come prepared to give your program the highest priority. Students should ensure that they have adequate financial resources to support their studies during the program– please defer your application to the following semester if you need more time to amass these funds. Students are not permitted to attend auditions during their first eight weeks of training, after which permission is required by the program director. While we cannot provide housing during your stay, we are happy to suggest reliable and safe ways of securing accommodation – please email sol.dancecenter@gmail.com for information.